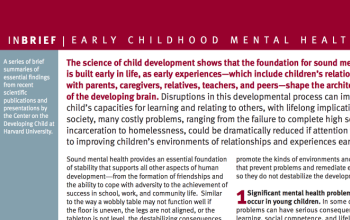 Science tells us that the foundations of sound mental health are built early in life. 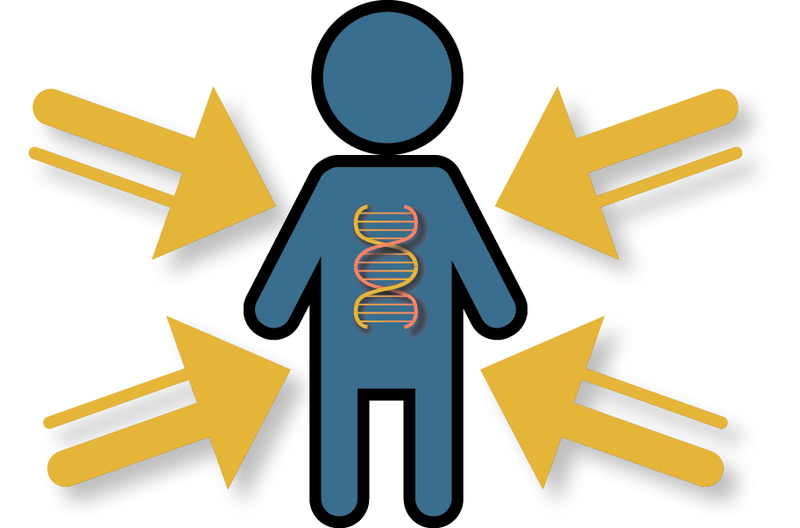 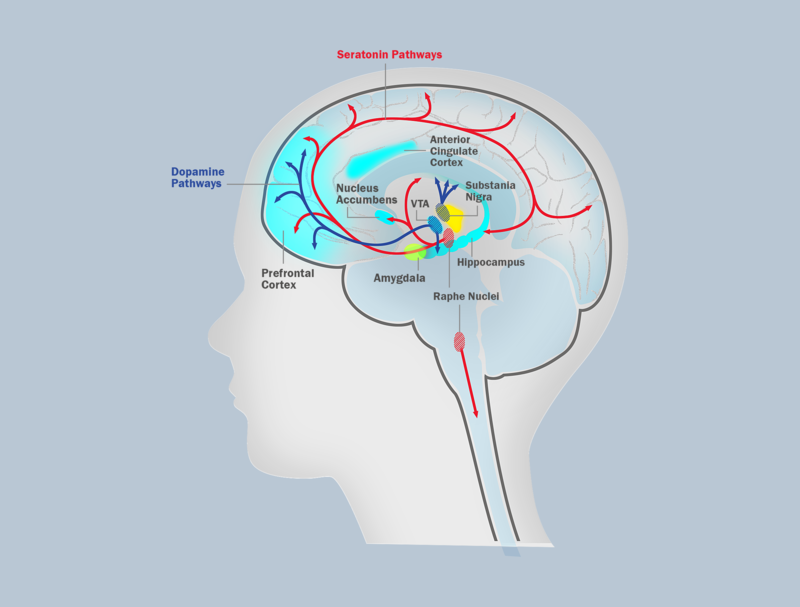 Early experiences—including children’s relationships with parents, caregivers, relatives, teachers, and peers—interact with genes to shape the architecture of the developing brain. 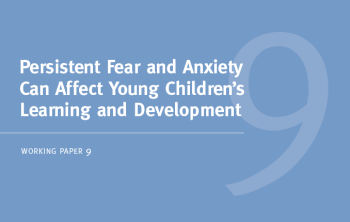 Disruptions in this developmental process can impair a child’s capacities for learning and relating to others, with lifelong implications. 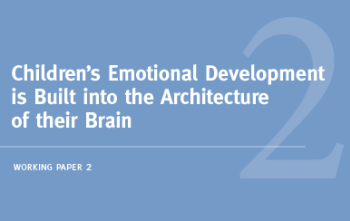 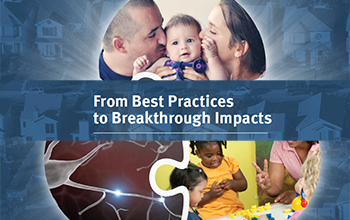 This edition of the InBrief series explains how improving children’s environments of relationships and experiences early in life can prevent initial difficulties from destabilizing later development and mental health. 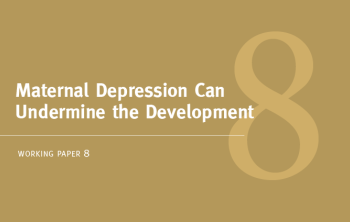 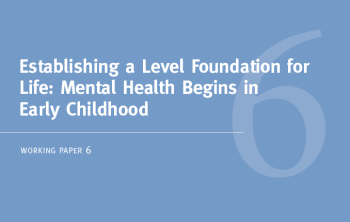 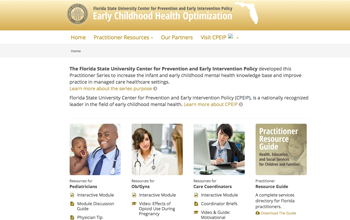 The 5-minute video provides an overview of Establishing a Level Foundation for Life: Mental Health Begins in Early Childhood, a working paper by the National Scientific Council on the Developing Child.